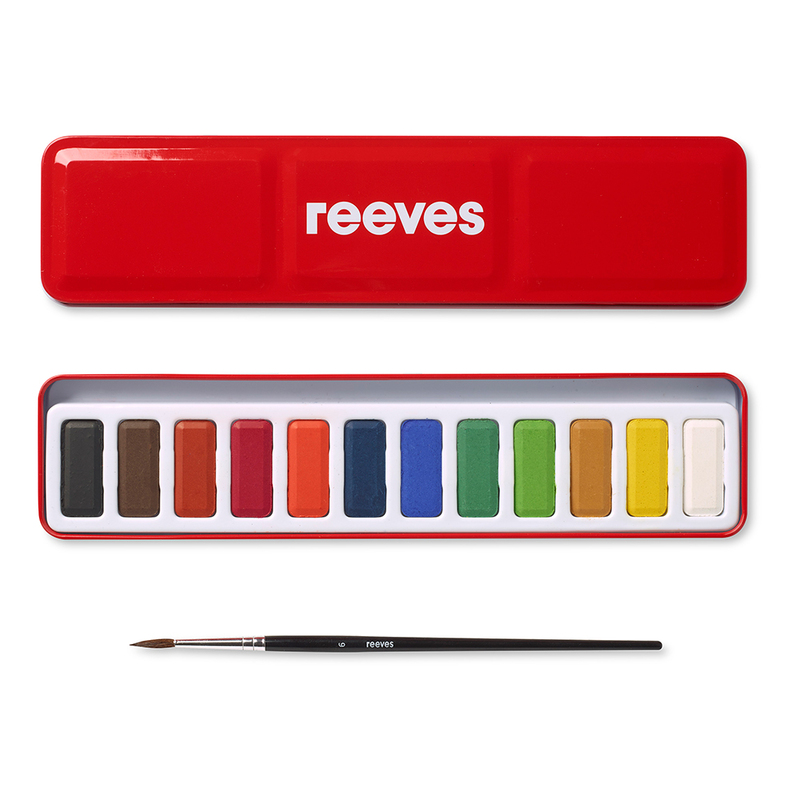 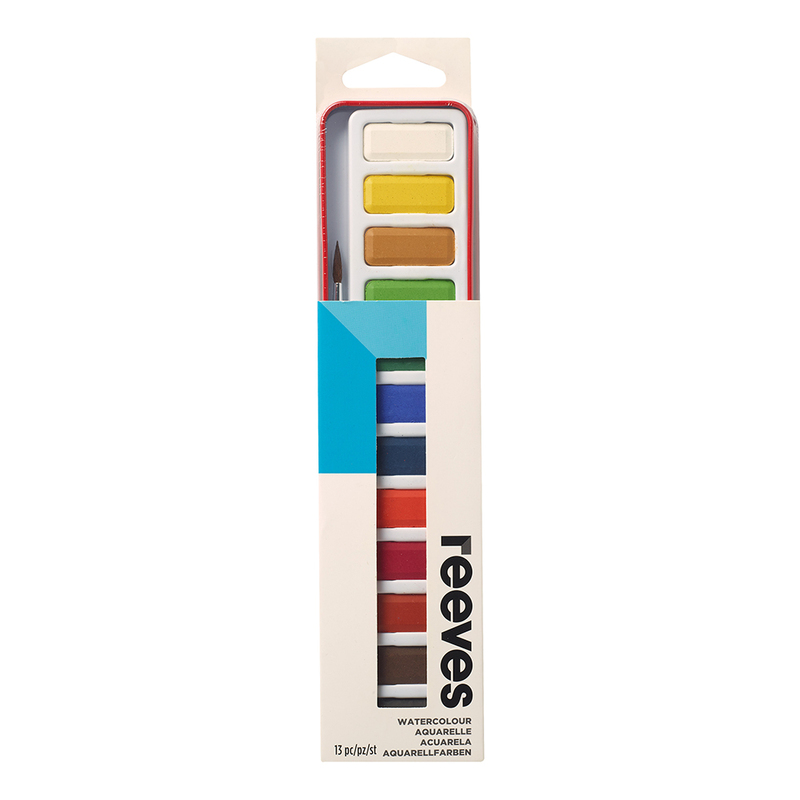 This set contains 12 pans of Reeves watercolour and one watercolour brush, all contained in a stylish Reeves metal case. 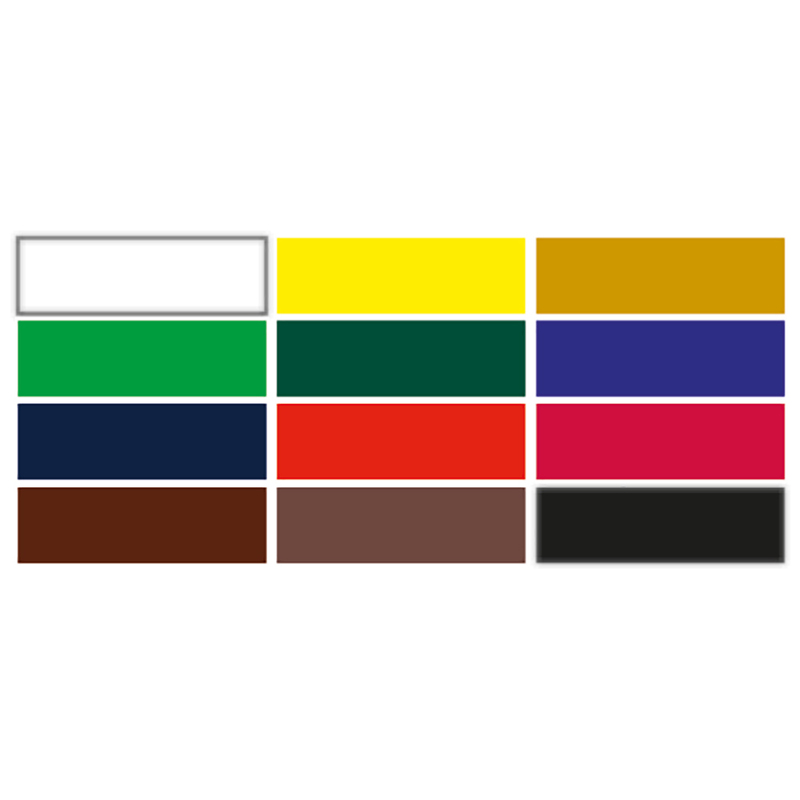 Release colour with a splash of water and combine colours in the handy lid that doubles up as a mixing area. 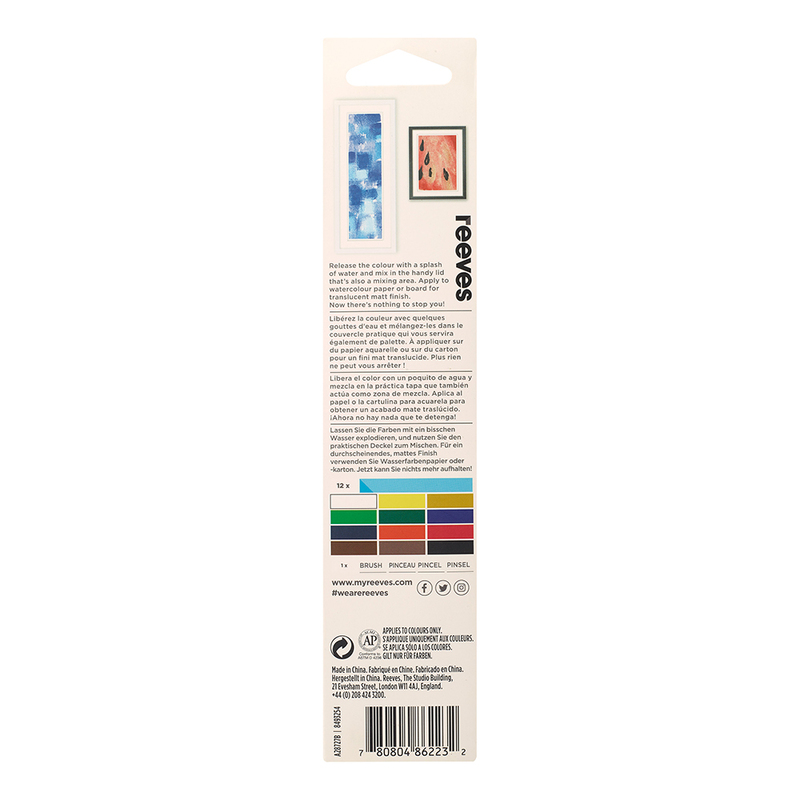 Apply your washes to watercolour paper or board for a translucent matt finish.